Tara Tarini Temple: Were Ganjem in Goa and Ganjam in Odisha linked in ancient times? Were Ganjem in Goa and Ganjam in Odisha linked in ancient times? Was the Devi of Ganjem in Goa inspired by Tara-Tarini of Ganjam, Odisha? A professor in Goa University's history department, Pratima Kamat has posed this question after her ethnoarchaeological research into the 'Boat Deities' of the Mhadei River Valley of the Satari and Sanguem talukas of Goa (Tarini and Tar-Vir: The Unique Boat Deities of Goa, 2008) revealed what she terms as exciting new linkages between Goa and Odisha. Kamat points out that scholars have written about Goa's cultural links with Bengal, especially about the migration of the Gaud Saraswat Brahmins to Goa, but not much about the maritime traditions and heritage with the state's links to Odisha. "Certain cultural similarities are visible in the ethnographical heritage of the two maritime societies, Goan and Odia, located on opposite coasts of the Indian peninsula etched in the early medieval times that are worthy of more intensive research," Kamat states in her study. Ganjem was a last port of call along the River Mandovi for centuries, but its past is fading with time. "Unique votive as well as abandoned sculptures of the Devi-in-a-boat are located in the Satari and Sanguem talukas of Goa. These may be compared with a similar Devi-in-a-boat found in some parts of coastal Odisha," says Kamat. 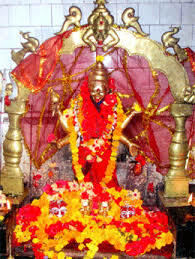 In addition to iconographical evidence, she points to ethnographical comparisons between the worship of Tara-Tarini/Tara in places like Ganjam, Ghatgaon and Ratnagiri in Odisha, and the votive traditions associated with the Devi-in-a-boat as 'Tarini' in the Satari and Sanguem talukas of Goa. Kamat draws similarities between the boat festival of Sanquelim, another riverine port like Ganjem, with the Boita Bandana and Bali Yatra of Cuttack, Odisha. The Goan river, Mhadei and its tributaries are hosts to the Devi-in-a-boat and shaped the region's cultural history as much as River Mahanadi influenced Odisha. Both states also witnessed the influence of Buddhism and Jainism; have a votive tradition of supplicating the Saptamatrika; enjoy a Shaktipitha status; possess similar maritime traditions, Kamat states in her study. Labels: Were Ganjem in Goa and Ganjam in Odisha linked in ancient times?